eating (nearly) everything: Danger! Danger! Oddly enough, directly across the street from Risotteria ("New York's pioneer gluten-free restaurant") is Keste Pizza & Vino which serves - you guessed it, gluten-free pizza on Monday and Tuesday nights. I love Risotteria, like, wanna marry it, so I felt guilty making a right turn into the unfamiliar glass door of this competition. Can you tell which one is gluten-free? I have always loved a thicker crust. 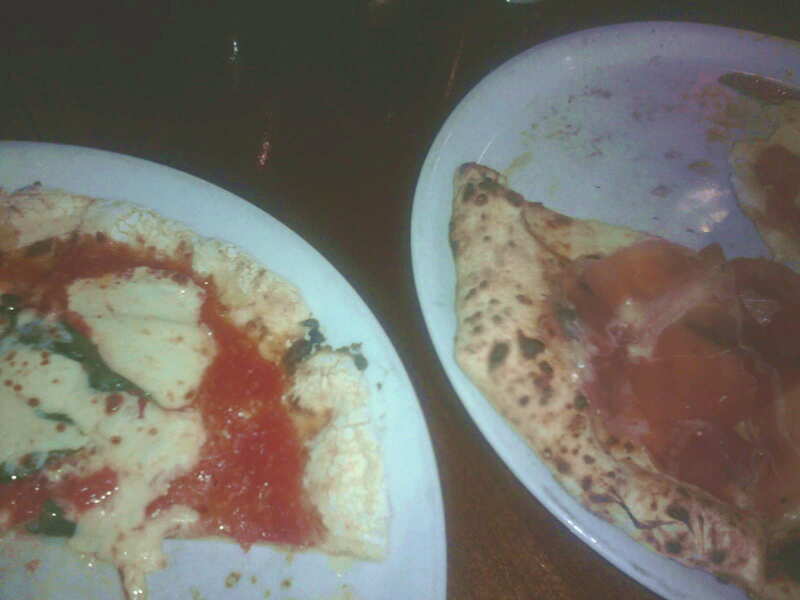 Though not brick-oven baked like the regular pizza (gluten free is on the left, with a slightly less charred exterior) it still had a beautiful consistency. According to my glutenous co-diners, who I forced to sample my pie, it tastes "exactly the same" up until the very edge of the crust - it's a little bit doughier. 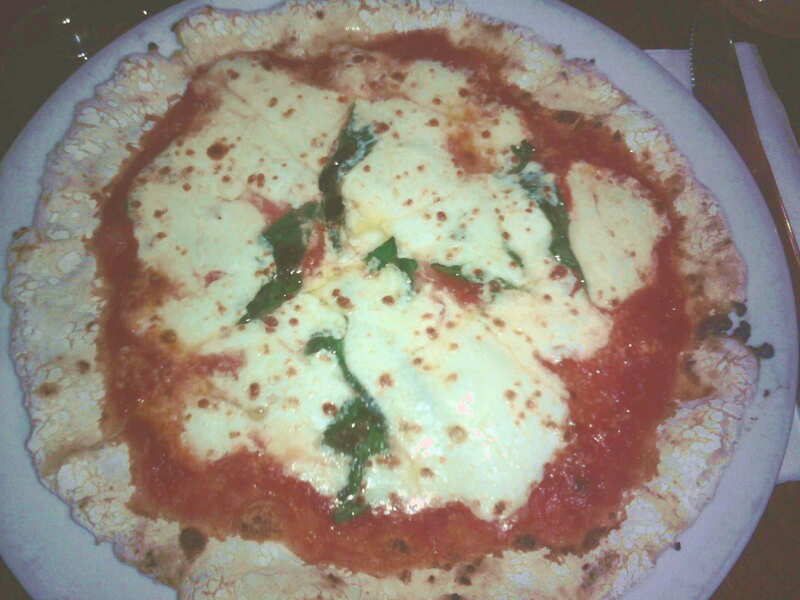 The ingredients were top notch - cheese, basil, tomato - and my only complaint was that it was quite SALTY. OH WELL. Wash it down with some house Montepulciano! Best pizza yet? It just might be. You have to get this whole big pie to yourself (I ate 3/4 of it because I lack self control around melted cheese) and it's not cheap: mine was $18. If you are a person with self control, you could divide $18/2 and call it two $9 meals. I am not that person. So the slices at Mozzarelli's will always be near and dear to my heart/wallet. And for a special occasion? I want a beer and a cupcake, too. (Risotteria.) So I don't know when I'll be back...but I will revisit it in my memory frequently, salivating, stomach growling. Try it, let me know what you think!